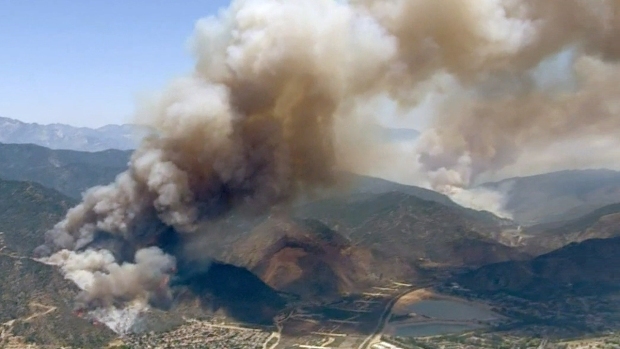 The battle against an 8-square-mile wildfire in the mountains northeast of Los Angeles continued Wednesday as firefighters warned nearbly residents about shifting winds that could lead to more evacuations. More than 1,000 firefighters are fighting two brush fires, called the San Gabriel Complex fire, that scorched brush in rough terrain in the Angeles National Forest and foothills above Duarte and Azusa. 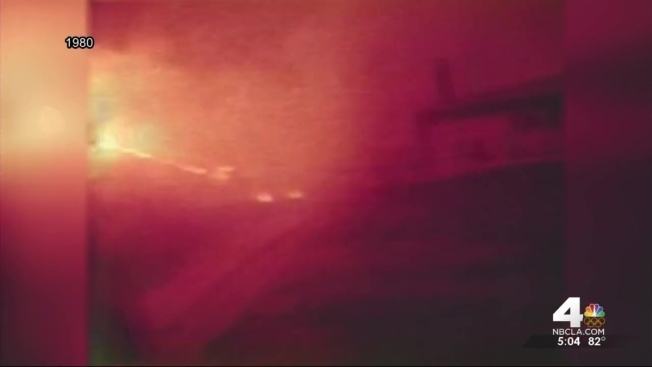 More than 850 homes have been evacuated. 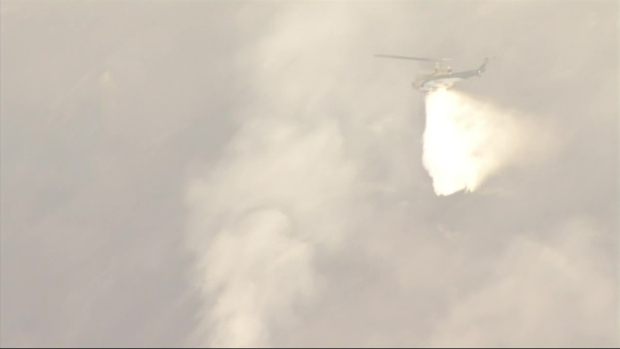 Residents of about 530 homes evacuated in Duarte might be allowed to return Wednesday around noon, but firefighters warned residents near the fire's uncontrolled western flank that homes there could be threatened. Monrovia resident Michael Ferlisi watered down his home's deck Tuesday with a garden hose. The family has already packed up valuable items, such as their wedding photos, in case they need to evacuate. "This is the first of it where it's really, really so close," said Ferlisi. "It's right in our backyard." Firefighters battled flare-ups at about 4 a.m., which led authorities to leave evacuation orders in place. Increased containment of the fire will depend largely on which way the winds blow. 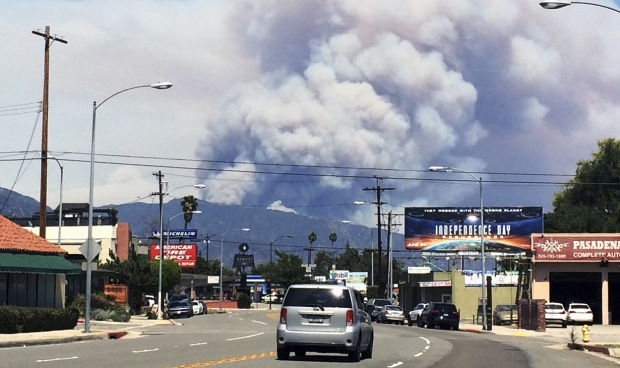 "The potential for downdrafts is very likely," Los Angeles County Fire Department Capt. Mike McCormick said. Los Angeles County Deputy Fire Chief John Tripp advised residents of Bradbury and Monrovia to pay attention to news coverage of the fire and have their evacuation plans ready in case they are ordered out of their homes, as the west side of the fire is the main area of concern. 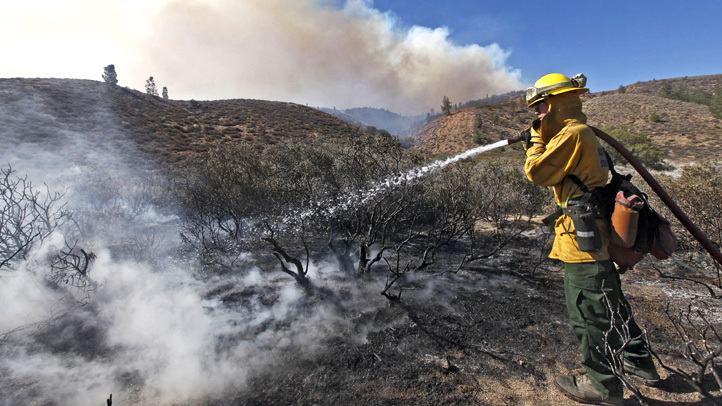 The fire was 10 percent contained Wednesday morning, when cooler conditions provided relief from a heat wave that brought scorching temperatures to Southern California. "This is a big start in the right direction," McCormick said. Some evacuated residents near the San Gabriel Complex fire were allowed to return home, but others remained on alert due to flare-ups. Annette Arreola reports for the NBC4 News at 11 a.m. on Wednesday June 22, 2016. The Reservoir Fire broke out shortly after 11 a.m. Monday off Highway 39 near the Morris Reservoir dam north of Azusa, according to Sherry Rollman of the USFS. It grew to 1,500 acres by 10 p.m. Monday and 2,400 acres by daybreak Tuesday, forest authorities said. The fire was sparked by a vehicle running off the highway, as officials received a report at 10:57 a.m. Monday of a fatal car crash along Highway 39 near the reservoir where the fire broke out, California Highway Patrol Officer Alex Rubio said. About 90 minutes after the Reservoir Fire began, a second blaze was reported near Opal Canyon and Brookridge roads near the Duarte/Azusa border, about four miles southwest of the Reservoir Fire. That blaze, dubbed the Fish Fire, quickly roared into the foothills, burning north away from homes but threatening some remote horse stables. One firefighter was taken to the hospital around 6 p.m. Monday with "minor injuries" related to heat exhaustion, and a sheriff's deputy suffered similar injuries earlier that day, fire authorities said. Chief Robert Garcia, of the Angeles National Forest, said the fires are in areas of the forest that "have not burned in a number of years." Triple-digit heat has fueled similar fires from the Pacific Coast to New Mexico, including one near Portero, a small desert town close to the Mexico border. The continuing drought and lack of significant rain from the winter El Niño has made Southern California ripe for what could be one of the worst wildfire seasons on record. An El Niño weather pattern brought near-normal snowfall to parts of California last winter, but most of the precipitation stayed to the north of Southern California. A five-year drought has left 40 million dead and dried-out trees in California, including 29 million that died last year alone, according to the U.S. Agriculture Department. Residents north of Royal Oaks Drive, east of Greenbank Avenue and west of Encanto Parkway in Duarte were expected to be allowed to return home at noon Wednesday. Mandatory evacuation orders were issued for Duarte Mesa residents living above Markwood Street between Westvale Road and Tocino Drive, and above Conata between Tocino Drive and Mountain Crest Road. Mandatory evacuation orders were issued earlier for residents on Brookridge Road, with voluntary evacuations in effect for residents north of Fish Canyon Road from Greenbank Avenue to Encanto Parkway. In Azusa, evacuation orders were issued for the Mountain Cove, El Encanto and Rainbow Ranch areas, with an evacuation center established at Memorial Park, 320 N. Orange Ave. Voluntary evacuations were in effect for the Mirador and Crystal Canyon areas. 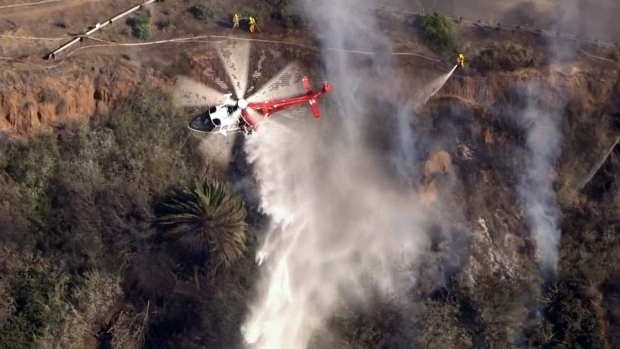 Monrovia residents whose homes are located north of Foothill Boulevard and east of Myrtle Avenue and the Bradbury area were advised that evacuations could be implemented, sheriff's deputies said. Additional road closures were announced Tuesday.